Love Your Tent is the international waste campaign designed to bond people with their portable homes, and encourage them to re-use instead of discard. The campaign is about behaviour change and we want to encourage people to have more respect, both for their environment and definitely for themselves. In the UK we've had support from, among others, A Greener Festival, Association of Independent Festivals, Radio 6 DJ Nemone, BBC Radio 4's 'You and Yours' programme, The Observer, Reading and Leeds Festival, IOW festival, V festival, Nozstock, Truck, YNot, Kendal Calling, Latitude and many many others. We also have support from both Department of Energy and Climate Change, Department of Environment, Food and Rural Affairs. And in Germany we've had support from Sounds for Nature Foundation, and festivals like Hurricane, Southside, Melt, Splash, Highfield, Area4, Rocco Del Schlacko, Taubertal and Rhythm and Vines and Rhythm and Alps festivals in New Zealand. We are speaking with one international voice and a single initiative supported by big names and events globally. We show people, organisers and campers, how much waste there is - how much it costs them each year - what happens to this waste. We can demonstrate that there is an alternative to the present situation. Organisers can save money - punters can save money - less waste - less landfill, less damage to the environment - less resources being used up. 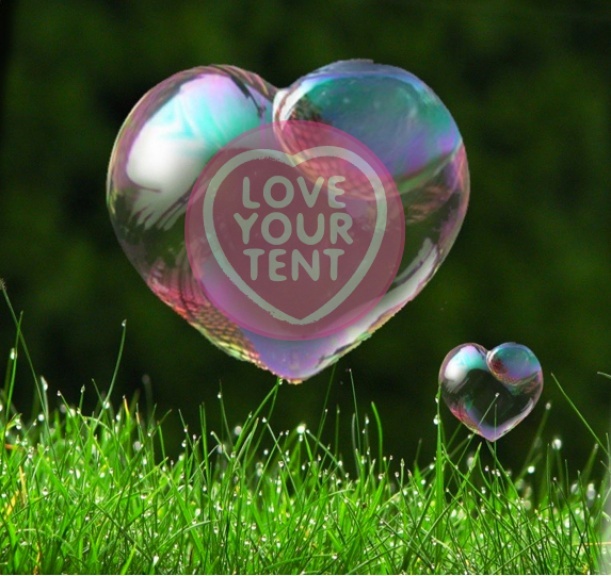 We are spreading this one simple message to every festival and to everyone - Love Your Tent and take it home. LOVE YOUR TENT has been nominated for a prestigious Green Operations Award at the European Festival Awards. The GO Group steering committee together with some independent experts form the jury of this award and collected the festivals that now show up on the list of nominated festivals.The final short list of five nominees - selected by the jury - will be announced later this month and the winner will be announced at the European Festival Awards ceremony in Groningen on wed jan 14th in the Oosterport.